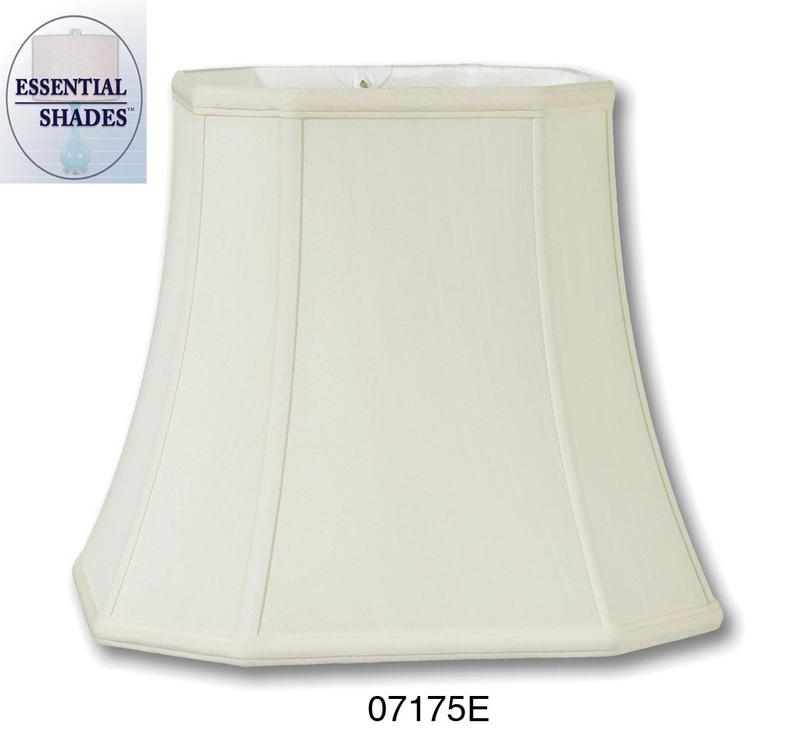 Essential Shades™ Brand Cut Corner Square style Softback Lamp Shades are made of Tissue Shantung material with self double fold trim top & bottom and are available in Off White & Eggshell color. All shades are lined in off white color satin material, and have 1/2" recessed brass plated shade fitters. No reviews yet for the Essential Shades Brand Cut Corner Square Lamp Shades.